For when you need to get away but want the comforts of home. If you’re feeling stressed, overworked, or just out of your element, changing your environment can work wonders to recharge your mind, body, and attitude. Being in a new place surrounded by strangers, though, can be a tad intimidating. That’s why we’ve rounded up a list of wellness retreats that’ll let you relax and reenergize — with the support of your local fitness instructors. You’ll get the self-care you need plus the familiarity of home all in one exotic package. Cost: Accommodations range from $1,850 to $3,375; airfare excluded. Feeling spontaneous? Book this seven-day, six-night escape to Tulum starting next weekend at the serene oceanfront Shambala Petit Hotel. The retreat includes daily yoga practice, with an early morning flow as well as a restorative session in the evening, and three healthy meals a day prepared by a private chef. You’ll also be able to take stand-up paddleboard lessons in the Caribbean Ocean and excursions to sacred sites such as the Tulum Ruins. Enjoy plant-based fare inspired by Rittenhouse’s own P.S. & Co. at the Pure Paradise retreat this May. / Photograph by P.S. & Co. Cost: Accommodations range from $1,250 to $2,250; airfare excluded. Picture this: You’re working out with a top personal trainer with views of a cerulean sky and white, sandy beaches. Sound ideal? Then register for this five-day wellness retreat in Jamaica. 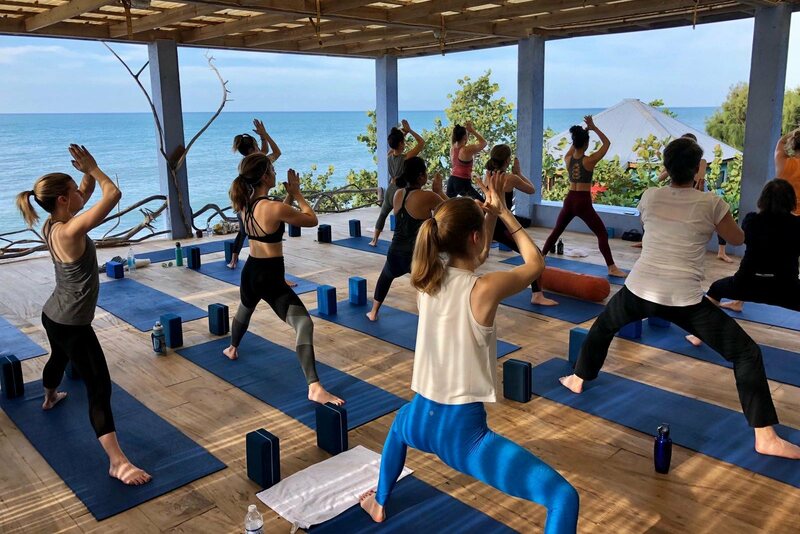 Versatile instructor Melissa Weinberg will guide your small group (think: eight to 10 people) through customized fusion workouts incorporating Pilates, yoga, and barre movements each day at your beachfront villa. Plus, Rittenhouse café and bakery P.S. & Co. is co-hosting the trip, so you’ll be eating its signature vegan and gluten-free meals to make sure your nutrition is as top-notch as your exercise. Cost: $1,950 (shared room), $2,450 (single room); airfare excluded. If you’re looking to blend your wanderlust wants and your yogi needs, then this retreat to Colombia is right up your alley. 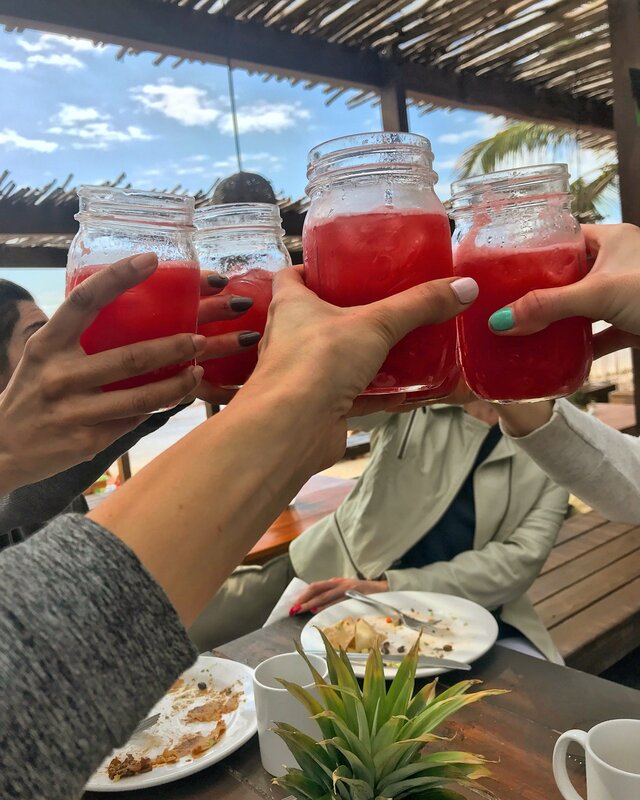 For a week, enjoy all that the “City of the Eternal Spring” has to offer, including a hike to the top of La Piedra (a huge rock that conjures up an image of the island of Atlantis rising out of nowhere), salsa lessons, and a tour of the botanical gardens — all with your “pana” (aka your homies!). Bonus: The money you put toward this retreat support Namaste en el Norte, a project to create a bilingual yoga studio and host yoga teacher training for the Kensington community. Cost: Accommodations range from $1,845 to $3,090 (the prices increases after April 30th); airfare excluded. For an all-levels yoga experience in the heart of Chianti country, sign up for this late September Tuscany retreat. During your stay in a solar-powered estate, you’ll enjoy two yoga classes and workshops per day, plus a tour to an organic winery and a cooking demonstration. Optional add-ons include spa treatments and deep tissue massages for that extra relaxation time. Cost: Accommodations range from $4,895 to $5,195; airfare excluded. Big Sky Yoga hosts a range of yoga retreats across the country and around the world. An international one that caught our eye involves joining Caitlin Kelly, a beloved Philly yoga instructor who moved to Montana in January, for a week in Tuscany. While in Italia, you’ll practice yoga and Reiki, learn how to make homemade pizza and gnocchi, and get a personal lesson in olive picking and pressing (so you can bring your own olive oil back the States!). 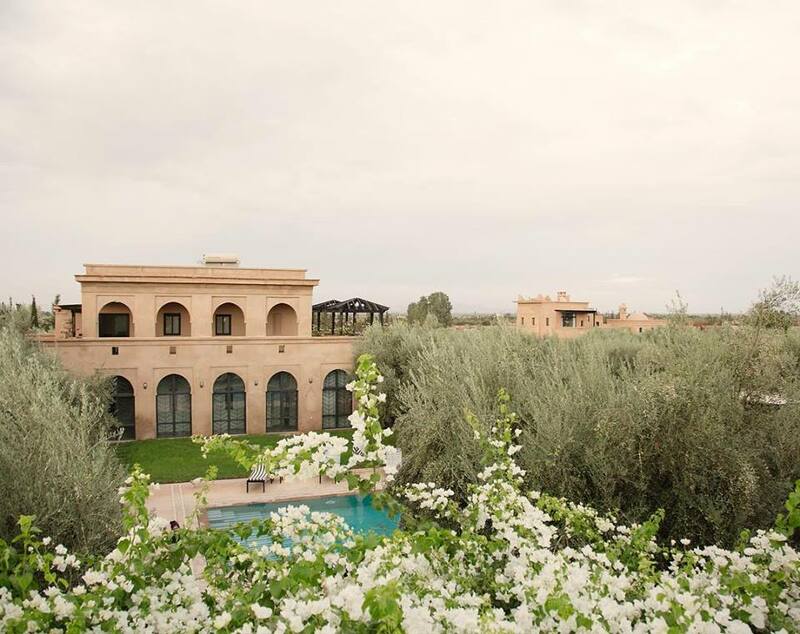 Practice yoga among the olive groves of Marrakech during Anjali Power Yoga’s retreat to Morocco. / Photograph courtesy Anjali Power Yoga. Cost: $2,799 (but the prices increases after August 1); airfare excluded. For seven days, practice both Ashtanga and Baptiste yoga among the olive groves of Morocco. The retreat includes a guided tour of the Marrakech medina (traditionally, an old part of a city); dinner in the famous Jemaa el-Fnaa, a main square and marketplace; a day trip to the beach town Essaouira (where you can ride a camel! ), and a henna and cocktail party. And, because this is first and foremost a wellness retreat, the itinerary reserves time each day for meditation. If you’re looking for a retreat closer to home, head to the Himalayan Institute’s first weekend getaway of 2019. You’ll explore the Shakti energy, or dynamic forces, that infuse your life by practicing a combination of fiery yoga flow and restful restorative yoga, with opportunities for group discussions and chanting. Plus, optional spa services await once you roll up your yoga mat. Can’t make the first retreat at Himalayan Institute? No worries, the calendar’s got plenty more listed, including this yoga and acupuncture weekend. Gentle, restorative, and yin classes will incorporate elements like pranayama, meditation, visualization, essential oils, acupuncture, and crystals to nourish your whole self. At the end of the weekend, take home a swag bag so you can continue your practice in the comforts of your own home. Be inspired by like-minded women at the third annual Rise Gatherings this summer. / Photograph courtesy of Rise Gatherings. Cost: Accommodations range from $779 to $1,399. The third Rise Gathering provides the whole shebang of wellness classes, workshops, and treatments. Focused on female empowerment, the weekend retreat includes events such as “Empowered Eating,” “Open Heart Painting,” an astrology panel, bellydancing, henna treatment, relationship talks, acupuncture, and even dance parties. Cost: $750 (shared room), $999 (single room). 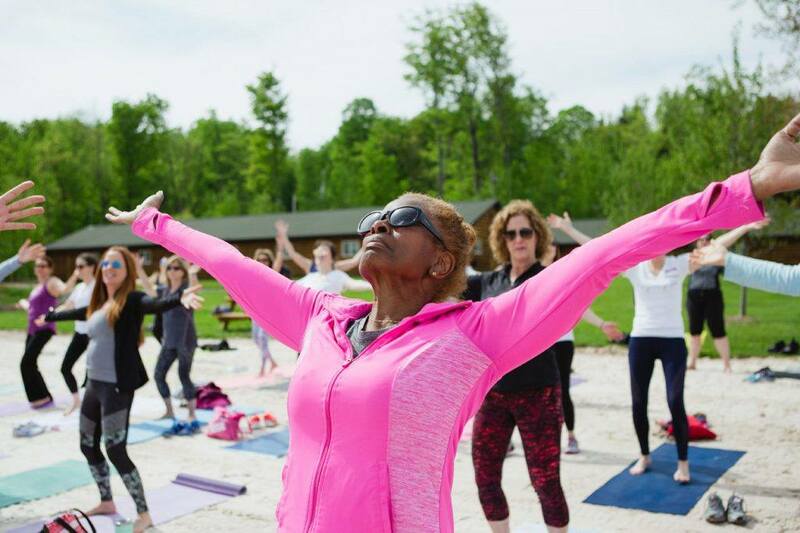 For a more intimate chance to connect with like-minded individuals, head to this women-only retreat hosted by Mama’s Wellness Joint. Over the course of three days, you’ll practice yoga and meditation and enjoy family-style community dinners prepared by a private chef. Bonus: There’ll be an on-site massage therapist. Cost: Accommodations range from $425 to $675 (but increase after April 20). Join Justine Bacon for a mid-summer wilderness escape in upstate New York that focuses on community, yoga, self-healing, and medicinal herbs. You’ll enjoy two yoga classes per day, vegetarian and vegan meals, and storytelling around a campfire. The retreat culminates with an Herbs for Meditation workshop, during which you’ll learn how to make your own herbal salves and balms to take home. If you’re an advanced yogi, this asana retreat is calling your name. With six intensive practice sessions, the extended weekend is meant to deepen your practice and challenge your pose work. You’ll receive one-on-one instruction and assists, plus enough free time to hike, read, and relax. 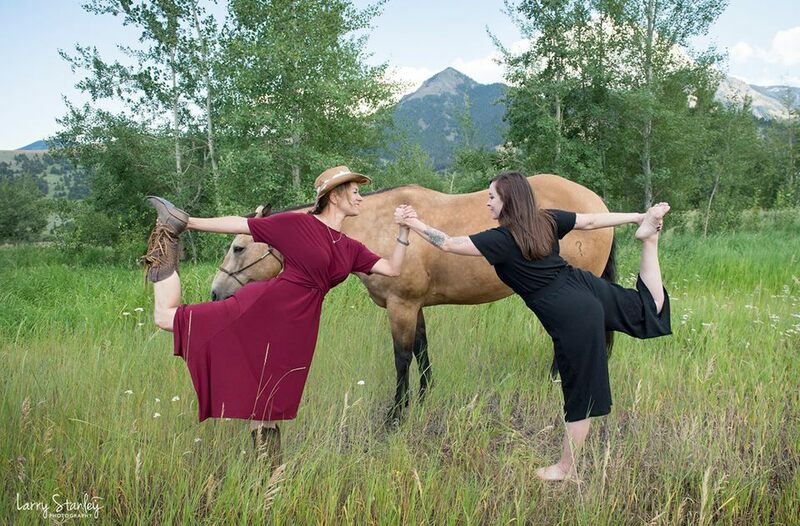 Get your cowgirl yoga on at one of the several Big Sky Yoga Retreats in Montana. / Photograph by Larry Stanley. If you can’t transport your practice internationally this year, Big Sky offers plenty of retreats in America. Former Philly yoga teacher Caitlin Kelly will be leading Big Sky’s Luxe Cowgirl Yoga, B-Luxe, and Advanced Yoga and Hiking retreats. No matter which experience you choose, you’re guaranteed to revel in the expansive space, mountain air, abundant wildlife, and cowgirl camaraderie.